AUSTIN, Texas — The politicization of ethics and a near-constant stream of scandals is making it harder to pressure politicians to comply with government ethics standards, a panel of ethics experts said Friday. 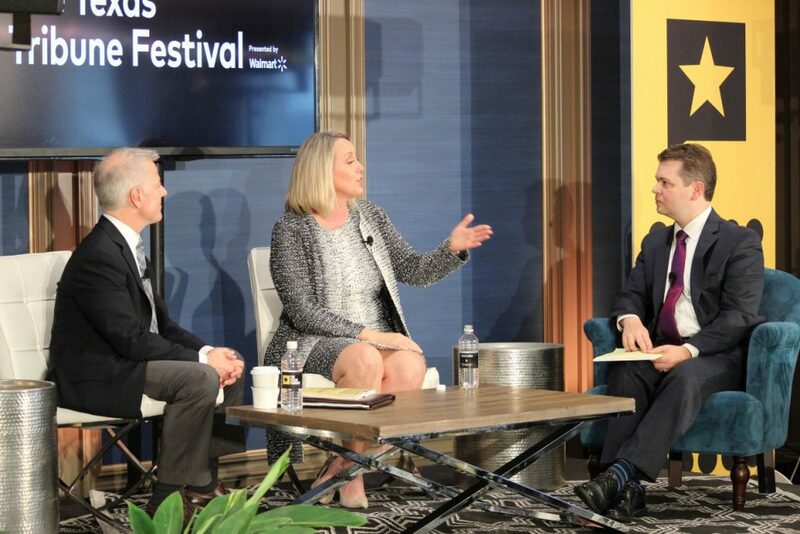 “In the past, the threat that you would go public with something as the director of the Office of Government Ethics was enough to keep people in line,” Walter Shaub, former director of the U.S. Office of Government Ethics, told a standing-room only crowd of about 300 at the Texas Tribune Festival on Friday. “But now, in the absence of any kind of congressional oversight, I found that not only was the threat not enough, but actually going public wasn’t enough,” Shaub said. 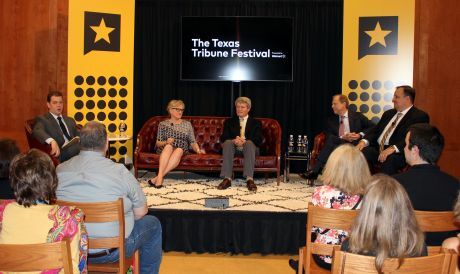 Shaub spoke at a panel titled “Is Government Ethics an Oxymoron” at the Texas Tribune Festival. The panel was moderated by Dave Levinthal, federal politics editor and senior reporter at the Center for Public Integrity. Shaub resigned from OGE over concerns about conflicts of interest held by President Donald Trump’s appointees and is now senior advisor to Citizens for Responsibility and Ethics in Washington, a nonprofit watchdog group. Panelists said both Republicans and Democrats are responsible for creating a political atmosphere where ideology is more important than ethics. Richard Painter said things have only gotten worse since he was chief ethics lawyer for the administration of President George W. Bush. “I think part of it is all the social and political ideology that’s getting mixed in,” Painter said. Earlier this year, Painter, who switched parties, unsuccessfully ran for the Democratic nomination for U.S. Senate in Minnesota. In the past, the negative publicity from an ethics complaint alone was enough to prompt a Texas politician to clean up their act, said Margaret Moore, the district attorney of Travis County in Texas. But now, voters are suffering from scandal fatigue and ethical violations no longer rouse the same outrage. Friday’s panelist discussion also turned to the question of campaign financing in a post-Citizens United era. The 2010 Supreme Court decision paved the way for the creation of super PACs and for politically active nonprofits like Crossroads GPS to spend unlimited amounts of money directly advocating for or against political candidates. Painter said politicians are now just doing whatever they can get away with within the rules. “I think you can run a campaign and win without PAC money because PAC money, so far as I’m concerned, it’s the offer of a bribe. I don’t think honest politicians take the PAC money,” Painter said. He pointed to U.S. Rep. Beto O’Rourke, a Democrat running for the U.S. Senate in Texas, who has said he will not accept corporate political action committee money. The example drew loud applause from the audience. The panelists said the will to enforce ethical standards in American politics ultimately must come from the electorate. A different perspective on PACs was shared at a Saturday panel, called “PAC Attack,” also moderated by the Center for Public Integrity’s Dave Levinthal. Both panelists said they see PACs and other outside groups as helping to raise funds to support candidates who aren’t getting enough support from their national political parties and dedicating an inordinate amount of time on fundraising. “Finance restrictions are starving capital to candidates and especially to the political parties,” said Steven Law, president and CEO of the conservative groups American Crossroads, Crossroads GPS and One Nation. Law said political parties have atrophied since the passage of the Bipartisan Campaign Reform Act of 2002, nicknamed the McCain-Feingold Act, which placed a cap on individual contributions to political parties. Outside groups like his are innovating and bringing research and development abilities that political parties simply don’t have anymore, Law said. 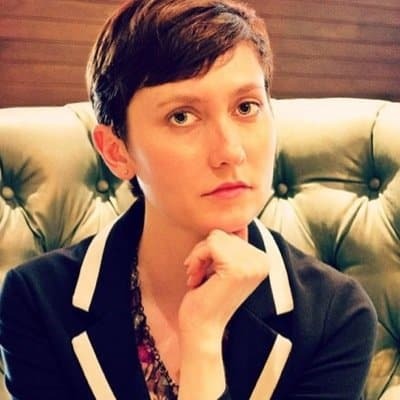 He pointed to the success of Emily’s List, a national organization that trains and coaches mostly Democratic pro-choice women seeking office. Stephanie Schriock, the president of Emily’s List, the second panelist, noted that politicians spend an exhausting amount of time just raising money. She estimated the average incumbent dedicates around five hours a day to seeking donations. Organizations like Emily’s List and Crossroads raise funds faster because they can accept larger contributions. But candidates can’t legally directly coordinate with independent outside groups on how those funds are spent, which both Schriock and Law viewed as a drawback. “Unlimited money is already allowed in the political process and only a constitutional amendment could change that,” Schriock said. Saturday’s panelists also stressed that the amount of money raised for a candidates is not what ultimately decides who gets elected — that’s up to the electorate. Concerning the 2018 midterm elections, both Law and Schriock agreed that Democrats have an advantage when it comes to winning the U.S. House while Republicans have an advantage in retaining the U.S. Senate. Law, whose Senate Leadership Fund super PAC is pouring millions of dollars into competitive Senate races across the country, said he wasn’t yet sure whether the organization would back Sen. Ted Cruz, R, of Texas, who finds himself in a pitched battle with O’Rourke. The Democrat’s campaign has raised more than $23 million through June 30, according to the Center for Responsive Politics, and is among the most successful campaigns in terms of fundraising this election cycle.